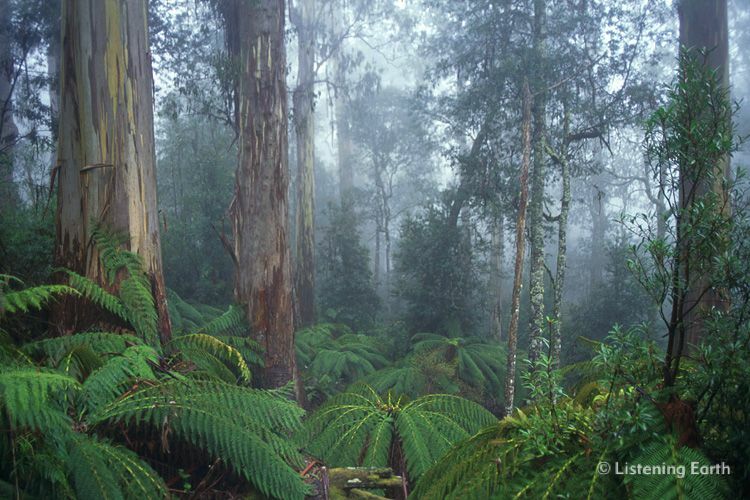 Feel refreshed as you stand among Australia's old-growth forests. 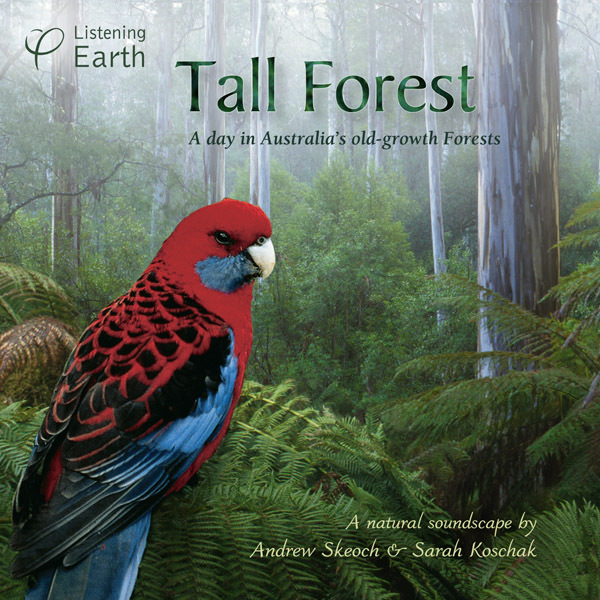 Here ancient eucalypts tower over ferny gullies, and the voice of the Lyrebird hangs in the cool mountain air. Birdsong echoes through the trees, an afternoon shower of rain falls briefly, and as dusk approaches, gliders, possums and secretive owls emerge into the night. "This was the very first nature recording we made. The field recording occupied us for over nearly a year, beginning with the winter singing of Lyrebirds, through spring, until late summer when we finally found the rare Sooty Owls we had been so hoping to record. "At the time (1994), clearfell logging of these old-growth forests was rampant, and time was short to save remaining areas. Protesters were active in the forests, and passions were running high. During our field work, we had several unpleasant encounters with contractors; being run off roads, threatened, and even questioned by police. "We felt then, and still do, that a good nature recording has the ability to communicate the essence of a wild place. It can speak directly, allowing the forest to be heard, and giving us all a deeper appreciation of what is at stake. "The good news: Ellery Creek, a focus of conservation efforts and the location where parts of this album were recorded, was protected and added to the national estate shortly after." 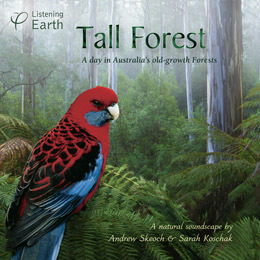 I recently purchased your "Tall Forest" and "Morning in the Australian Bush" CD's. They were both delightful and I particularly enjoyed the sound of the Yellow-bellied Glider, which I often attempt to imitate for my students prior to our school camps in the Otways. I am enjoying your CDs which I have... Keep up the good work! My favorite so far is "Tall Forest". Very moody soundscapes! Kookaburra sits in the old gum tree. . . Laugh, Kookaburra! Laugh! . . . Oh, I like the laughing sound of kookaburra.